Our classic long wrap around skirt. 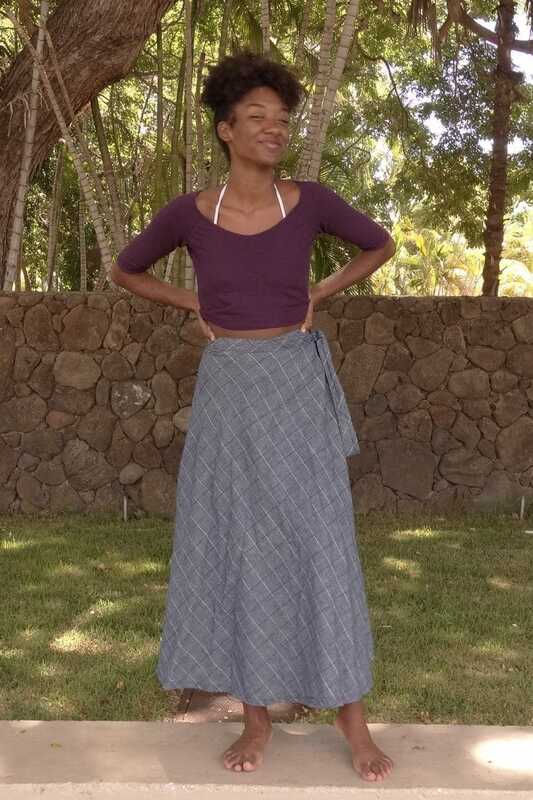 Gets softer and better with every wash. 38″ length from waist to hem. It’s good. Super long—right past my ankles and I’m 5’9″ with long legs. I got the denim one. It does get stares, since one doesn’t see a lot of super-long denim skirts these days. The fabric is nice—it has a bit of a sheen to it in a certain light. Beautiful! This skirt is elegant and I have seen it on many and it seems to look good on most body types.